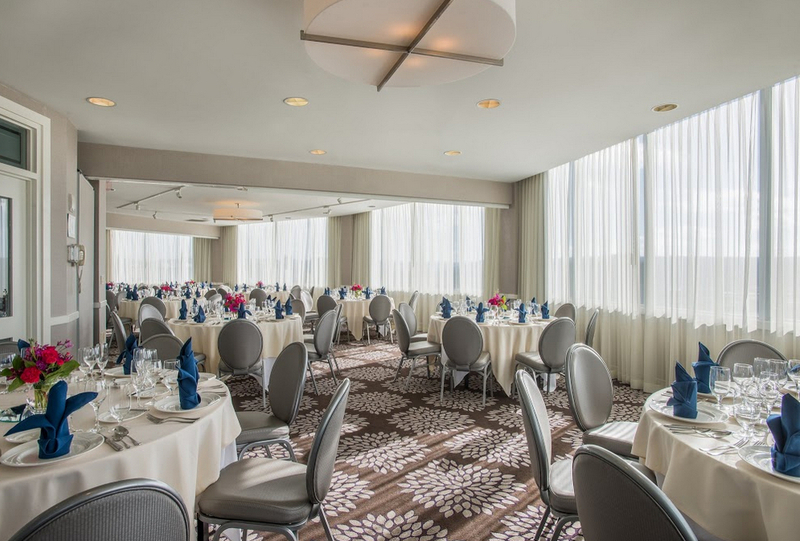 Crowne Plaza Syracuse New York Wedding Venues Located in beautiful downtown Syracuse, the Crowne Plaza Syracuse hotel is the perfect spot for your wedding desires. Our 276 well-appointed guest rooms and 3 luxury suites come standard with all the perks including a complimentary Wi-Fi internet access, a 32” HDTV, and plush bedding. 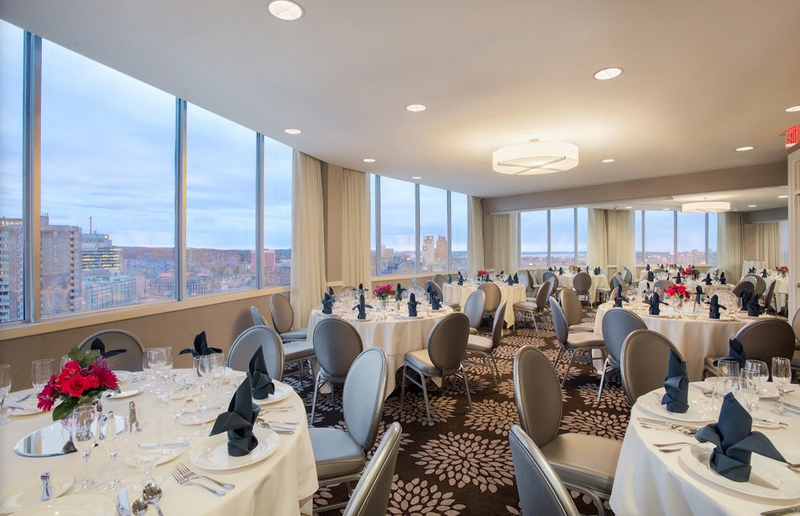 With more than 12,000 square feet of elegant event space, stunning views of downtown Syracuse from our 20th floor skyline ballroom, the Crowne Plaza Syracuse will surpass your every wish on your special day. Our flexible event space is the perfect location for a wedding big or small. 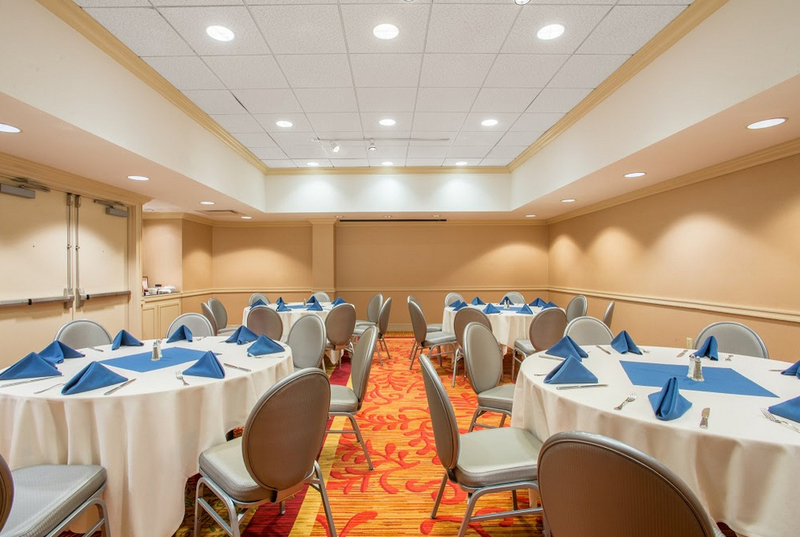 With an in-house kitchen, all of your catering needs can be taken care of without ever having to leave the hotel. From the moment your guests enter the hotel, to the minute they wave you and significant other off, let our friendly staff take care of your every need at the Crowne Plaza Syracuse If you have any questions please feel free to fill out an RFP form and one of our experienced event planners will contact you shortly.